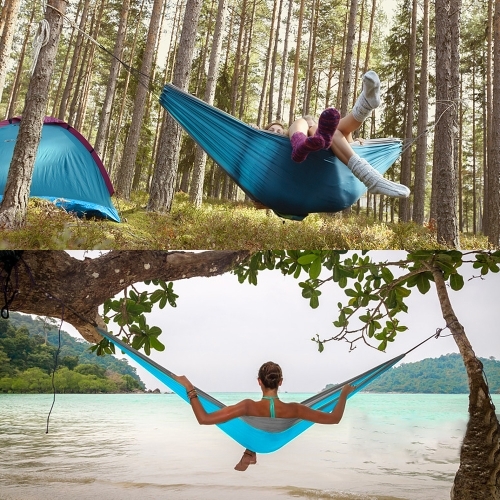 This hammock measures 10-feet in length and 6.6-feet in width, which is so spacious that can accomodate two people. 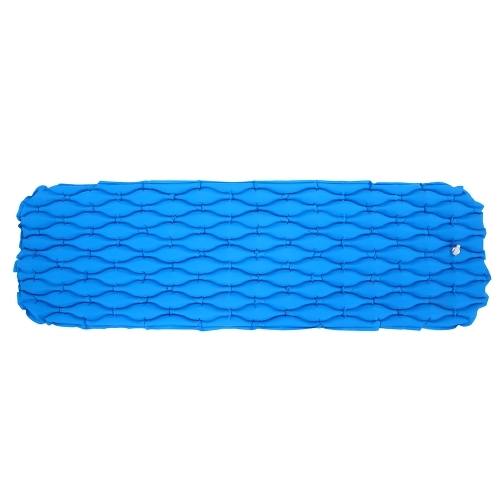 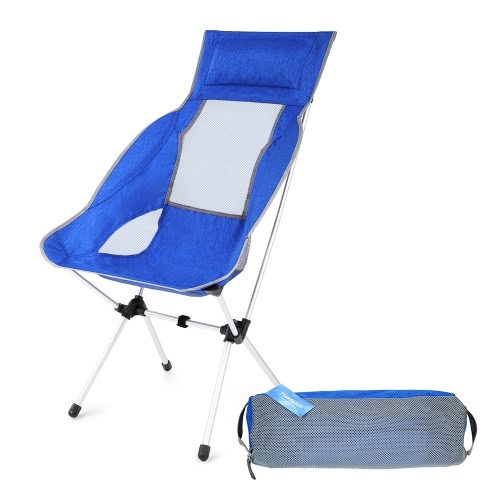 It is made of 210T nylon fabric, soft, comfortable and durable. 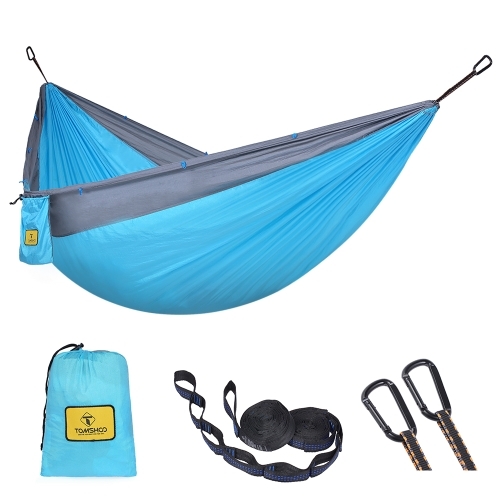 The hammock comes with two carabiners and ropes, very easy to set up. 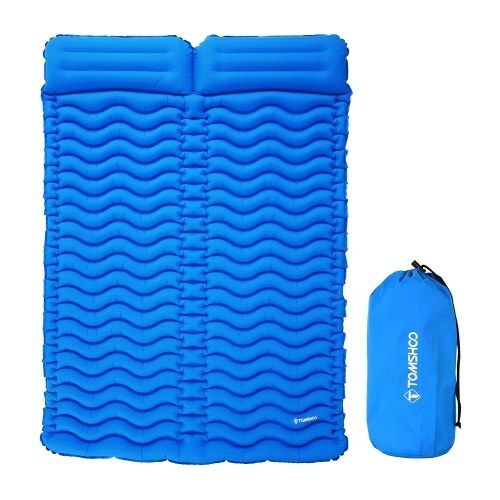 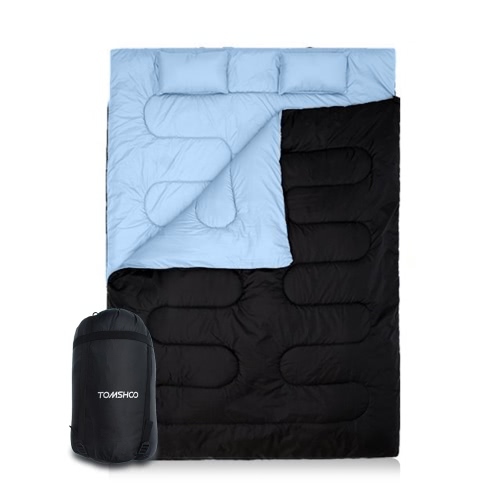 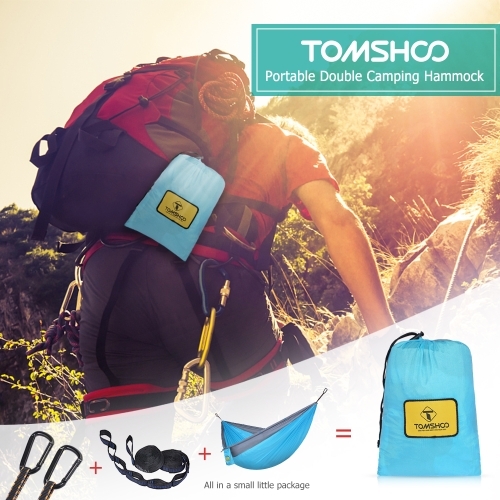 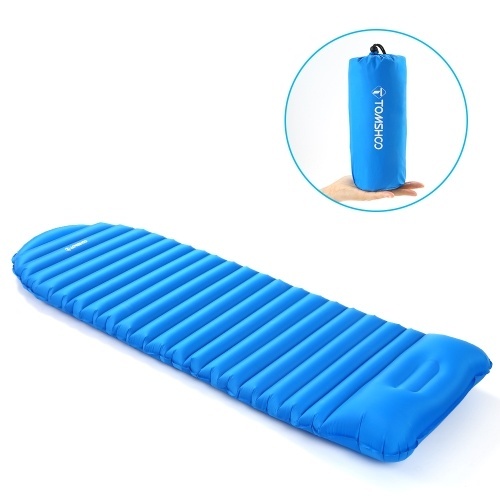 It is lightweight and compact after folded into the sack, convenient to carry, great for traveling, camping, backyard, garden, park. 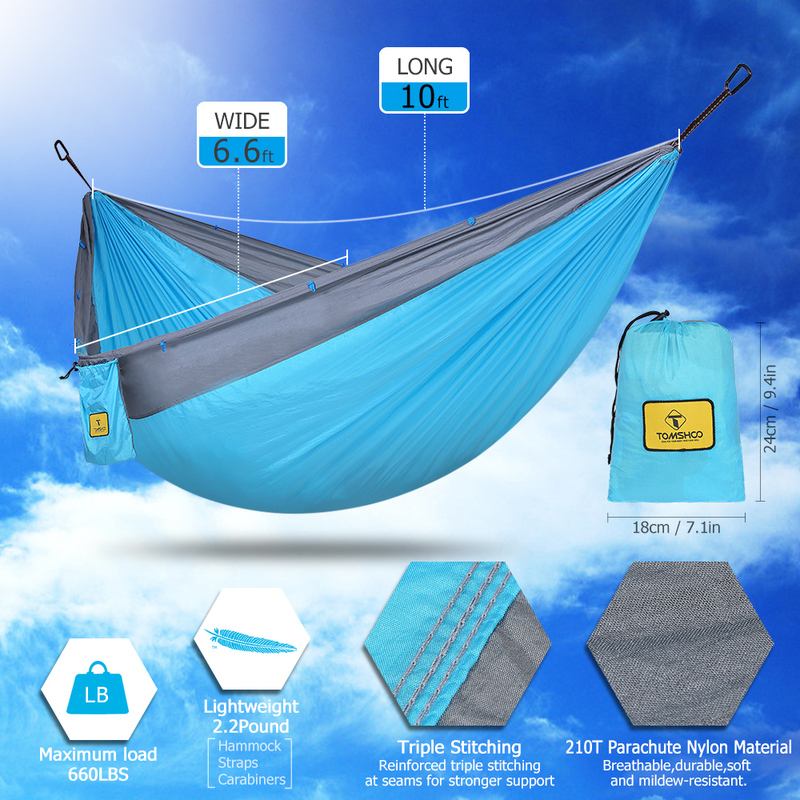 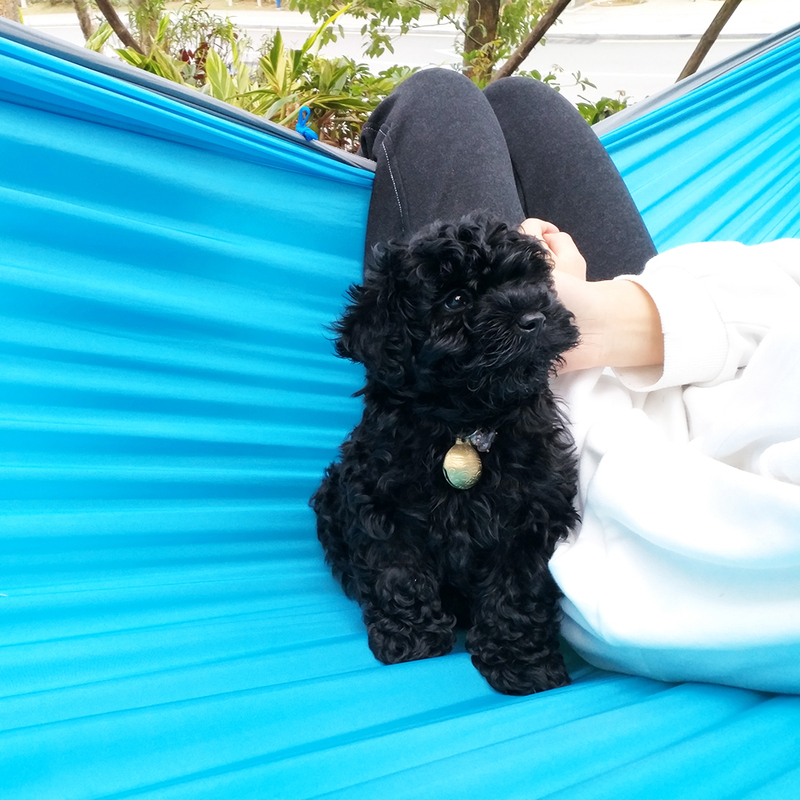 Made of premium 210T nylon fabric, the hammock is silky and soft to give you the most comfortable experience to relax yourself. 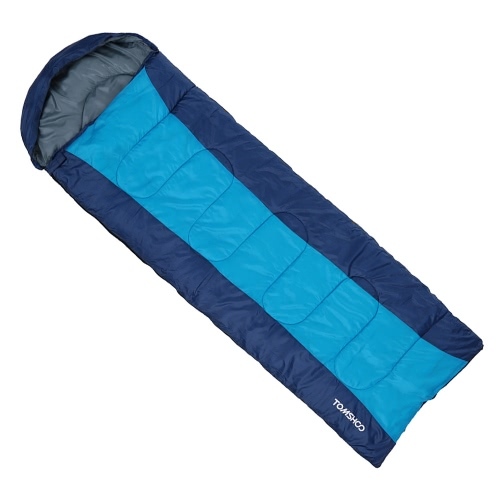 Unfolded dimension measures 300cm x 200cm (10' x 6.6'), large enough to accomodate 2 adults. 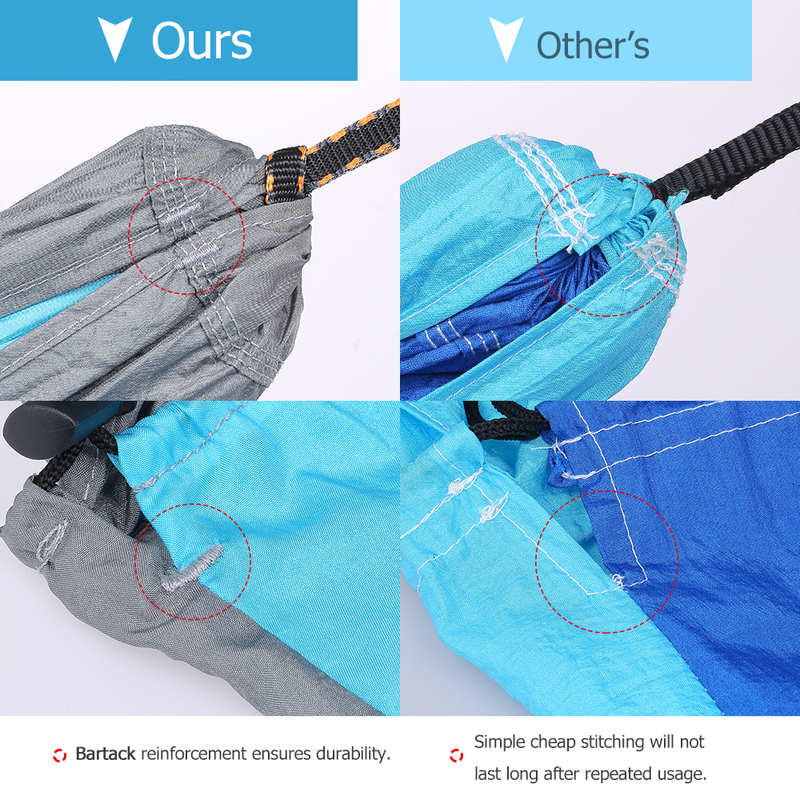 Stuff sack is sewn right into the hammock so you'll never lose it, which offers a perfect room for your keys, snacks, bottles, etc. 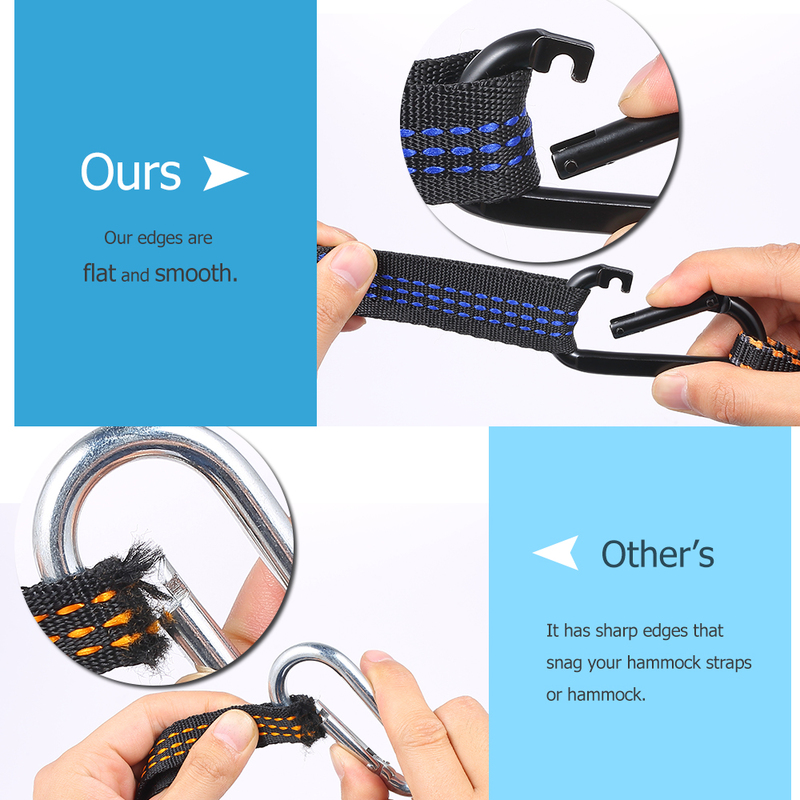 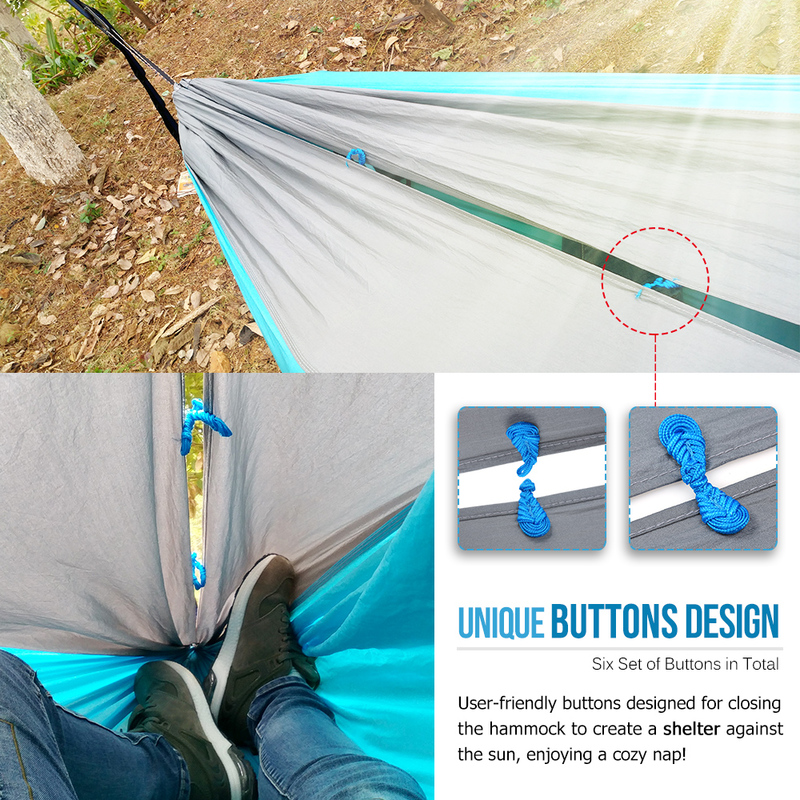 Six sets of fasteners allow you to close the hammock and enjoy a cozy nap without being burned by sun rays. 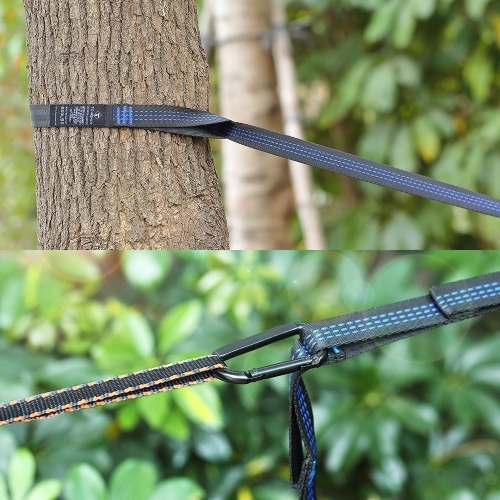 Includes 2 carabiners and 9.2ft ropes (15+1 loops) to make setting up extremely fast and simple. Super strong to bear weight up to 660lbs. Folds the hammock into the storage sack and weighs only convenient to carry for traveling.